My aim as a UI/UX Designer has always been to try to find ways to upgrade my skillset and learn new tools to create better products collaboratively. The contest that Dann Petty promoted through the use of YouTube and Dribbble got me excited to participate because I saw it as a learning opportunity to challenge myself to be creative outside my current job. Being creative means you have the power to decide how you imagine or envision what the end product would be. And if you had that power to do anything that you wanted, how would you go about doing it? 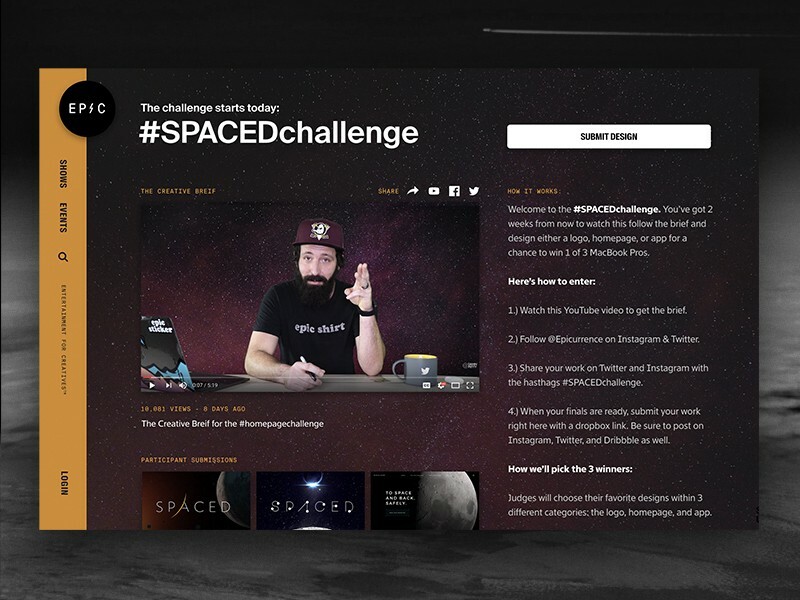 The SPACED challenge was about designing either a logo, a website, or an app for a fictional space travel company that takes passengers to different destinations in our galaxy in one day, and back to Earth safely. In just one day over the weekend, I had flushed out several screens that I thought could be a good user experience for the user to go through to get into context what the SPACED travel company was about, as well as its core feature of booking tickets to outer space. After submitting my design on Dribbble and making a YouTube video to pitch my design to Dann Petty in an attempt to impress him and score bonus points for the contest, I then sought to add some animation to my static screen images. Animation with interactivity was relatively a new field for me to learn because I had never really mastered it. 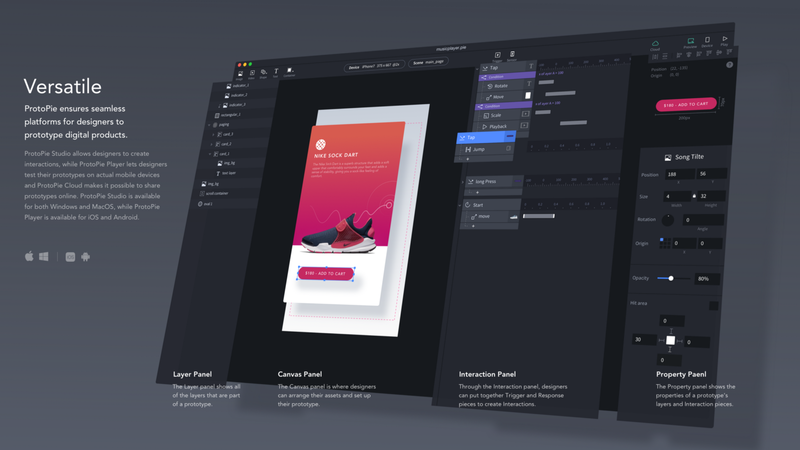 In the past I’ve tried using various advanced animation interactive programs such as Flinto, Principle for Mac, Framer and even Facebook Origami. But I found the tools a little too hard to master, and in the end never made it into my design workflow. 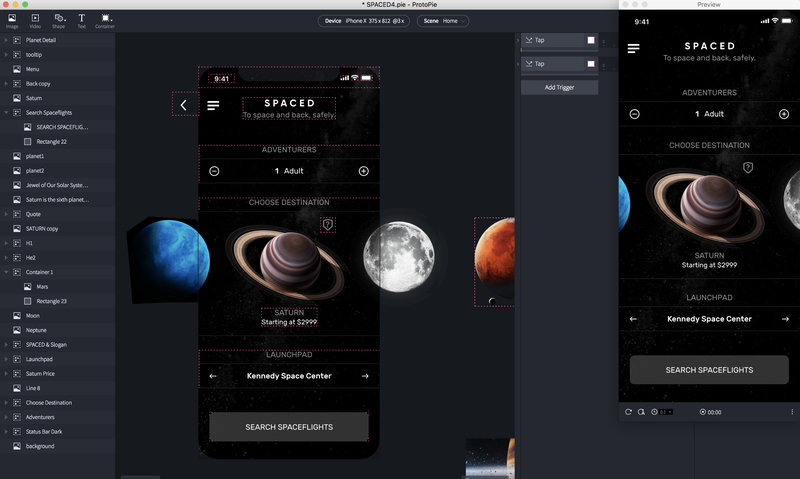 Not until the release of Adobe XD’s January 2018 update, did the program allowed to work with 2 other advanced animation tools that I had never heard of. One of them was Protopie. 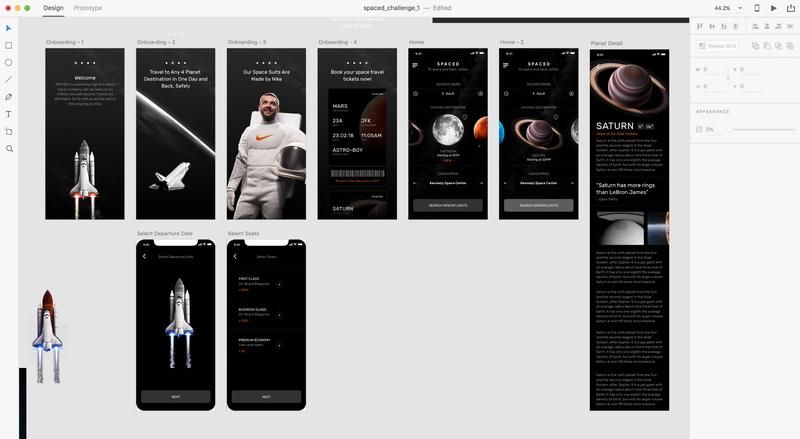 I downloaded Protopie’s free trial and followed their basic tutorials on how to create simple interactive prototypes from their website, and somehow I got enough basic knowledge to create a fluid animation for the SPACED app from one screen to another in less than 30 minutes. I was pretty happy with what I had accomplished and learned. And with this knowledge, I could explain to developers visually how I want a certain interaction to play out for future digital products. 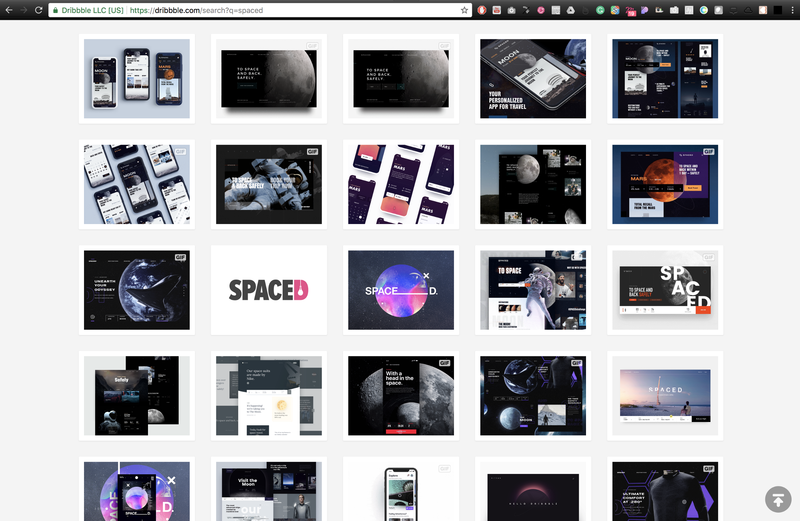 As I searched SPACED on Dribbble and Instagram, I have seen some of the best UI/UX designs from the international design community in which I felt I’ve been outmatched by their creativity and skill. But it felt even more awesome to see designers taking this challenge seriously and pushing their ideas to the limit. Seeing what they came up with encourages me to challenge myself to do better. So thank you Dann Petty for creating this amazing challenge. I did learn a lot. And I hope to keep learning and growing as a designer.